Clive Humby, a key architect of Tesco Clubcard and chief data scientist at Starcount, explains why sub-brands will prosper in the age of social media. 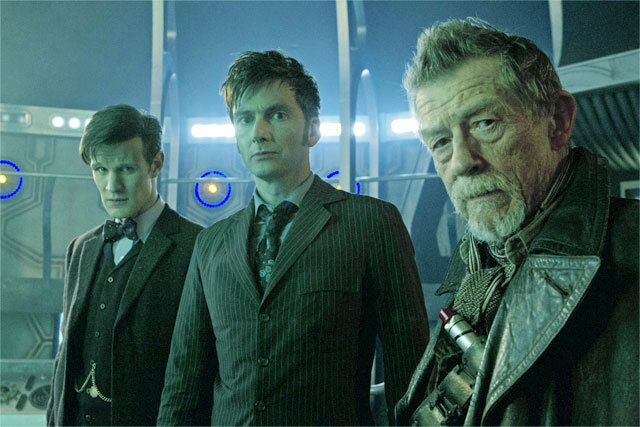 Doctor Who: the child of 60s sci-fi and early mass market television, now reborn as a global social media phenomenon. On the surface, the Time Lord’s recent 50th anniversary highlighted how much has changed in the way we access and consume information: the commemorative episode was simulcast live in 94 countries, screened in over 1,500 cinemas worldwide, and debated live by millions across social media. With huge swathes of consumers now on either Facebook or Twitter, we have effectively returned to mass advertising. Yet in many ways, digital and social are bringing us back closer to the world of William Hartnell than when the programme was resurrected eight years ago. Then, we were at the apex of the trend by which audiences had been scattered into a galaxy of different channels and media. Against this grain, social media is taking us back to the world of 60s television. With huge swathes of consumers now on either Facebook or Twitter, we have effectively returned to mass advertising. Nobody switches channel, and everybody gets the same message. The critical difference is that brands are having to compete fiercely for attention; consumers may have made themselves more overtly accessible by consolidating around a few mass channels, but achieving meaningful engagement levels remains a distant holy grail for many. What’s more, while we might all be back on the same few channels, audiences are more fragmented than ever before. A generic message or campaign is no good when your target market has become atomised beyond recognition. So if social media has taken us back to the future, what are lessons for brands trying to make an impact on new media, on the distinctly old-fashioned terms of one-to-one marketing? The first is that size may not matter. Tens of millions of followers won’t bring you value if it’s a dormant base. It is ratio - of engaged to disengaged fans - that counts, not volume in its own right. Recognition that breadth of online following is not a criterion of success should be part of a wider realisation that the old push model of marketing has had its day. Where once brands focused on a continuous broadcast of their message, now the smart ones think in terms of pull: how to bring in the customer, engage them and win their support. The harsh reality is that, with digital becoming all-encompassing, the old maxim that one brand fits all no longer holds water. By definition, when you are trying to communicate with multiple audiences, a monolithic brand will lose its power. Digital billboards piled one on top of the other will simply become obscured from view, which is why engagement levels on social media are currently so feeble for so many brands. What will prosper in the age of social media is the sub-brand. The likes of L’Oreal are already cottoning on, having broken down their haircare products into sub-groups. What businesses face is the essential demise of their master brand as a catch-all tool for communicating with customers. What businesses face is the essential demise of their master brand as a catch-all tool for communicating with customers. Those who are quick on the uptake will realise that the days of trying to control the consumer and the decisions they make are over. If anything, the boot is now entirely on the other foot - you only have to look at how customer power has the big energy companies on the run, and corporate social media disasters such as British Gas, mauled on Twitter when they attempted a Q&A at the height of the price rise furore. The key is communicating in different ways to different communities - a successful brand must have a purpose, and the social sub-brands will find that through identifying the needs and interests of much more discrete bands of consumers. Want to be all things to all people? You may as well write it on the wall for all the notice it will get in the marketing gridlock of social media.